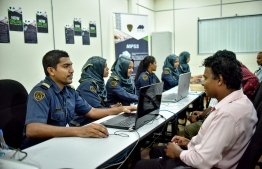 Maldives Immigration has announced that foreign officials, looking to observe and monitor the elections, would have to seek authorization from the Elections Commission (EC) as well as possess business visas in order to enter Maldives during the period of elections. Immigration declared that action will be taken against any individuals travelling to Maldives under a tourist visa for any election-related matter. "Therefore, any individual travelling to the Maldives on a tourist visa to cover the upcoming elections, according to Maldives Immigration's regulation, will be penalized", read the statement released by Immigration. In addition, Immigration asks for all individuals looking to cover the election, to provide all paperwork related to their travelling, business visa requirements as well as all documents pertaining to the authorization given by EC. Immigration also highlighted that individuals looking to observe and monitor the upcoming election will be able to apply for the business visa until September 15. Incomplete applications and all applications with errors that are submitted will be rejected. "Foreigners covering the elections will only be coming to the Maldives upon the approval of the business visa. All other individuals will be promptly sent back without being granted access to enter the Maldives," stated Immigration. Application are now open for EC authorization and business visas for individuals looking to cover the election.